Continuing on my quick painting in under 20 minutes a day (day 11) I have returned to my love of the flow of silk paints on silk in watercolour technique (no resist or anti-diffusant). 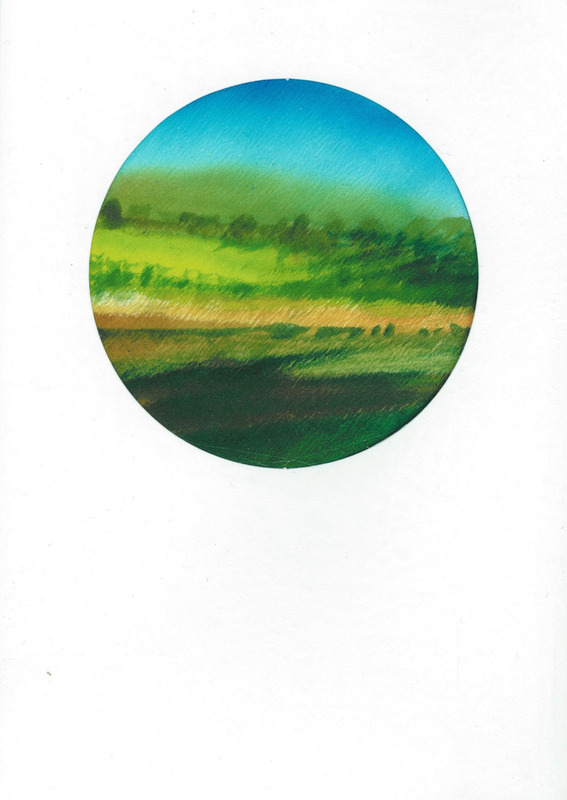 The card is painted on a thick satin silk and the paints do not move freely on that. They almost need to be scrubbed in, for example, by using a taklon brush rather than my usual goat or squirrel mix. The large brooch, painted on 10 mommie Habutai, I have managed to adapt at the back so it can also be worn as a pendant. Simply add a chain of your choice. It sits very well and the findings for the pendant adaptation are not visible when it is worn as a brooch. Yay! very versatile! I will have these for sale ($30 I am thinking)……including a long chain but of course you can use your own preferred chain/cord or wear on a velvet choker using the pin from the brooch fitting. I loved chokers in the 70’s so they must be due to be back in fashion. $10 with envelope. blank inside. postage free Actual painting on silk. Not a print. This entry was posted in Silk painting, Tasmanian artists, Uncategorized and tagged cool colours, green, landscape, original painting. 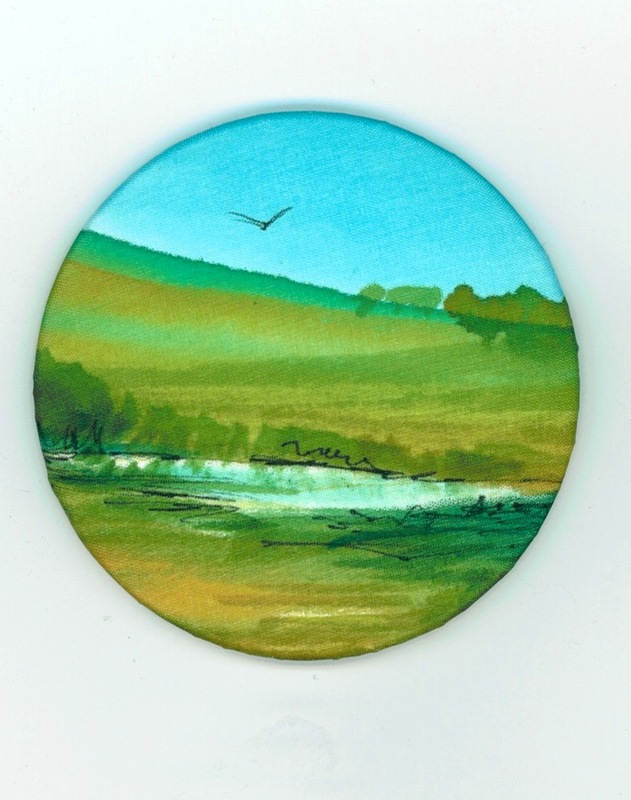 fabric painting, painting in under 20 minutes, painting landscape on silk, pendant/brooch, silk brooch, silk painting, silk pendant, watercolour, watercolour landsape, wearable art.